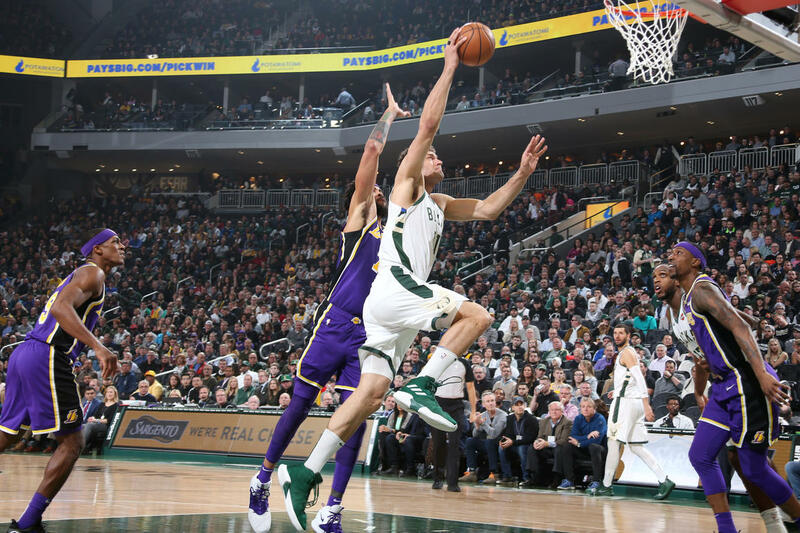 The Milwaukee Bucks improved to 2-0 in exhibition play, knocking off the Minnesota Timberwolves 125-107 at the Hilton Coliseum in Ames, Iowa. Giannis scored 21 points and pulled down 10 rebounds to lead the Bucks. Christian Wood had 14, Khris Middleton 13 and Malcolm Brogdon, Donte DiVincenzo and Tony Snell added 12 each. The Bucks hit 13 of 36 three-point attempts, but they also scored 50 points in the paint. They forced 20 turnovers that turned into 24 points. Karl-Anthony Towns had 33 points and 12 rebounds to lead the Timberwolves. 23 of his 33 points came in the first half on 9 of 12 shooting. The Bucks play their third preseason game on Tuesday night at Oklahoma City.